← Why did I wait so long? In the midst of all the darkness, there is light – a bright shining light of life. So while I grieve for my mum, I must remember to celebrate my new daughter. You are 8 weeks old and glorious in gorgeousness. You’ve had a hectic beginning being looked after by so many people while I see your Nanna in hospital, but you cling to me and look so bright-eyed you convince me it’s all ok. I am meant to be your teacher, your protector, your guide, but it is you who is keeping me grounded, secure and in the moment. It is you who pulls be back over and over again from the edge of darkness when my mind and heart wander to my loss and grief. And while my heart aches for my mum, it soars for you. Every baudacious burp, every satisfying suckle, every cheerful chortle and every gratifying grin; every little squeak like a mouse, every stretch like a little frog, every mew like a kitten, you push away the shadows. And my mum loves you, even in her absence. When I dry your chubby little legs after each bath, my mum’s voice whispers over my shoulder,”dry her properly, get all those little creases in her arms and legs.” When I sing you a lullaby at night, the song she taught me floats in the air. When I throw my arms up in despair when I can’t work out why you are screaming while trying to get the girl’s tea, her voice laughs beside me, “well, you did choose to have three!” You are loved not just by me, but also by those who have loved me. I hold you close in the darkness of night, alone while the house snores quietly. I smell your head and know that while my world might be shaking, I will keep steady for you. You are beautiful. You are perfect. You are mine. And even though this is the saddest time of my life, I am the happiest woman alive. absolutely beautiful. what a lucky girl ruby is. 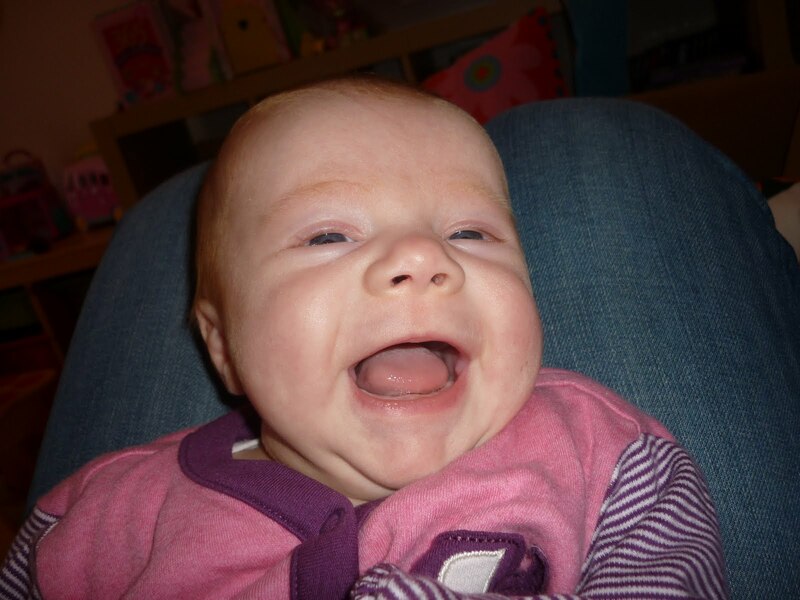 What a happy smiling face she has, and I'm sure your mum will shine through her too. How wonderful there is so much joy there to help make up, just a little bit, for so much sadness. a beautiful letter to your Ruby. I know what it's like to hold such joy and such sorrow in equal parts. thinking of you! !